Healing can be simple like the natural release of a hangnail or elaborate like the closing down of body processes to conserve energy when food consumption is too low. 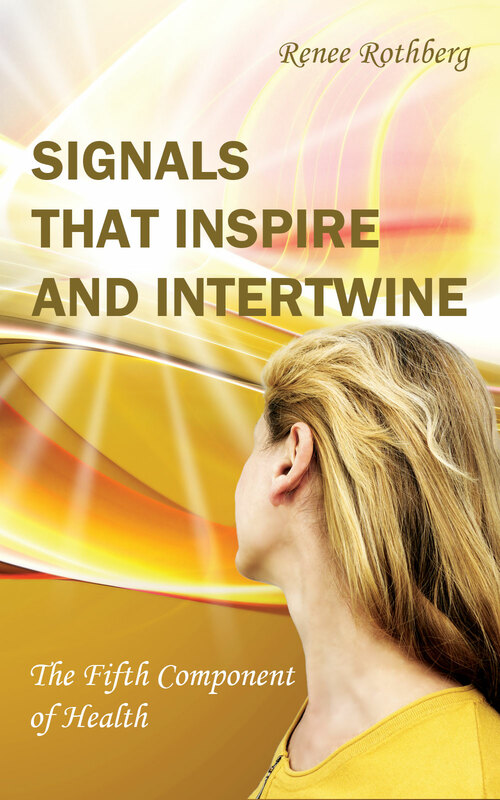 Signals that Inspire and Intertwine is an introduction to the complex system that protects and heals our bodies. This complex system is a fifth component of health that works seamlessly with the other components of health—the physical, emotional, intellectual and spiritual components. Extra support is needed when our bodies are unable to heal through the basic healing processes. The extra support is provided by signals that are governed by the appendix and pineal gland. These signals activate when backup is required to maintain balance or to overcome external and internal causes of stress or injury. Awareness of signal existence opens the door to investigation of the healing power of the appendix and pineal gland. Awareness of signal existence contributes to individual determination to strengthen the body’s healing process. Awareness of signal existence can influence care of infants and patients. Signals will continue to assist with maintaining balance whether or not we are aware of them. Knowing that these balance protectors exist is the first step towards appreciation and understanding. Signals that Inspire and Intertwine presents introductory information that is usable by healthcare professionals and people who are interested in health. How does having the appendix removed on childhood effect this system? Removing the appendix demands adjustments in the body. Maintaining balance can be handled by the other organs and mechanisms that balance.Overcoming injury is slowed by the loss of the appendix. Because the appendix is the organ that bridges between the spiritual and physical worlds, that connection is affected. End of life preparations are also affected by the removal of the appendix.